It is the most beautiful goal that Lauren Cheney Holiday, 28 years, scored against the benign brain tumor discovered last September when she was in the fifth month of pregnancy. A week after the birth Lauren, wife of the New Orleans basketball player Pelicans Jrue Holiday, was subjected, last October 23, to a surgical operation to remove the Tumor (benign tumor from the right side of her brain), an operation that is perfectly successful. Read more: Lauren's most important goal. United States Vs Switzerland 5 - 1. 23 October 2016. Second act, after the first of the 19 last October ended up 4-0, and also this time triumph of the United States over Switzerland for 5 to 1. The girls, 11 the debutants, by Jill Ellis (US coach) have before immediately the goal of Switzerland with Sandrine Mauron (sandrine.mauron) that after 6 minutes from the beginning of the game collects in the center area a rejected by the US extreme defender Ashlyn Harris (preferred for this second game a Alyssa Naeher) is bag the ball in the right corner of the goal. Then there was no more game. In fact at the 24 ° th Carli Lloyd, served by Kelly O'Hara, is a corridor free from opponents and pulls from 35 meters in the right corner just below the crossbar of the goal, scoring the first of the two (his) goals to Switzerland and reminding us that it is the Golden Ball 2015 (World Player of the Year 2015). Read more: United States Vs Switzerland 5 - 1. 23 October 2016. United States vs Switzerland 4-0. Today the second act. 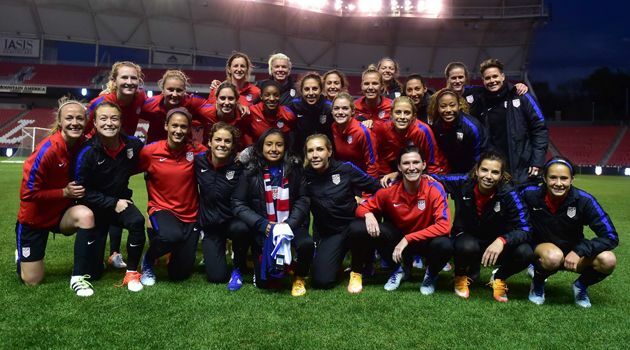 14.336 spectators witnessed Wednesday 19 October to Rio Tinto Stadium di Sandy in the State of Utah to victory of the American National team Female Soccer. A team renewed for his eleven twenty-fourths. The first goal, favored by an inattention of the 15 number of the Swiss defense Caroline Abbé, was made by Lynn Williams player of the Western New York Flash that a few days ago they won the US Championship. At the beginning of the second half, Williams had enough 45 seconds to score his first goal with the United States jersey, Lynn is the twelfth American player to score a goal for the national debut with the 13 number shirt belonging to Alex Morgan not convened by Jill Ellis. 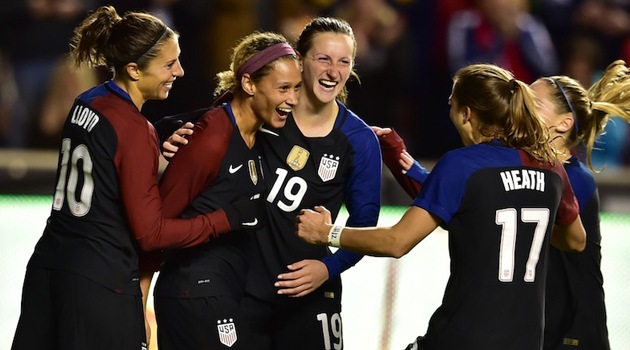 Read more: United States vs Switzerland 4-0. Today the second act. GAME DAY: United States Vs Switzerland "International Friendly Match"
It's the day of theInternational Friendly Match between USA vs. Switzerland at 19 now US (the now Italian 3) the match will be played at Rio Tinto Stadium di Sandy in the State of Utah and transmitted by ESPN2 (in the United States). A US national renews from Jill Ellis (became national coach later Pia Sundhage) with eleven beginners on twenty-four players called. This challenge, as often happens for the US national team, will be repeated on 23 October next to US Bank Stadium in Minneapolis in the State of Minnesota (12.45 USA hours, 21 circus in Italy). Ellis has renounced many experienced players (the average number of young players called is 17 years), not without controversy, but his declared intentions are to arrive at the qualification for the next Women's World Championships in France with a team aiming for the final victory. Read more: GAME DAY: United States Vs Switzerland "International Friendly Match"
Lauren Cheney Holiday we could admire last July triumph with the US team at the World Cup in Canada (his one of the 5 goal of the final against Japan), with which he twice won the Olympics, then leave the national team after a long and victorious career to devote himself to his private life, to the family, to have a child with these words "a new chapter of my life. This team is not my identity, it's my choice, I chose this team for 10 years, and now I'm going to choose my family. " Whitney Engen: "I am surprised and devastated"
Whitney Engen, defender of the US women national team and the Boston Breakers (also played in the Chicago Red Stars, Western New York Flash and in Liverpool, under all his personal card) expresses all his disappointment, "I am surprised and devastated" , for the phone call that Jill Ellis, coach of the US national team, has informed her that "you are no longer in the future plans of the national football team " . He concludes his letter with "I'm not sure of the role football played in my future. I think my best years are ahead of me. I'm going to take a little time to spend with my family and decide what can I do off the field. Still I do not know how to thank you enough for your kindness ". 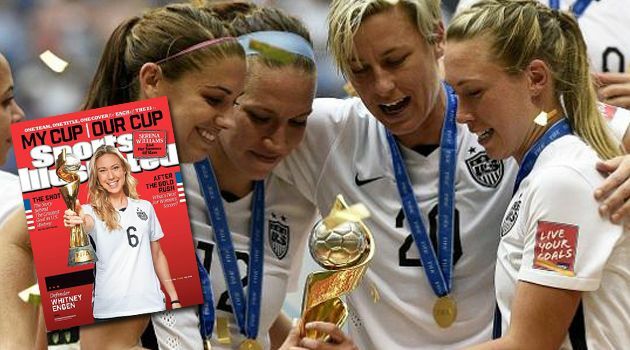 Read more: Whitney Engen: "I am surprised and devastated"
He won New York (Flash) the challenge against Washington (Spirit) and won the Championships of the American Professional Women's Football League. A beautiful game ended on penalties. Ended 1 to 1 in regular time with a goal of Crystal Dunn for Washington and the deserved draw for New York of Samantha Mewis, we go to the extra ones where Crystal Dunn scored his second goal of the evening. It will be Lynn Williams in the last seconds of extra time, primed perfectly by Jessica McDonald, to equalize the fate of the game bringing it to the penalty shootout. Three parades of Sabrina D'Angelo (Canadian, Olympic gold medalist, of clear Italian origins) deliver the trophy in the hands of the WNY Flash who in the semifinal had beaten the favorites of the Portland Thorns in whose ranks they play US national 5. 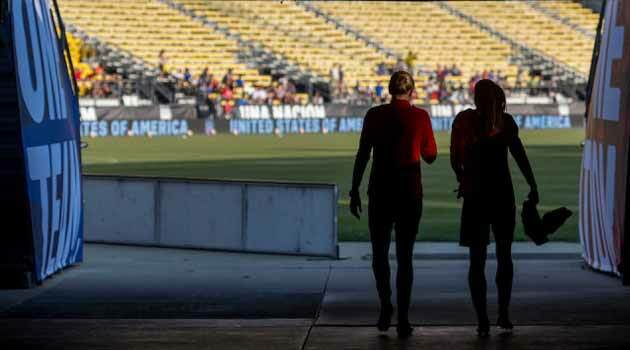 After the last Olympics and the premature exit (in the quarters against Sweden coached by Pia Sundhage, former US coach) of the US team, Jill Ellis, national team coach, has selected the 24 players for the "WNT camp" that will start in preparation of the friendly matches against Switzerland of 19 and 23 next October. 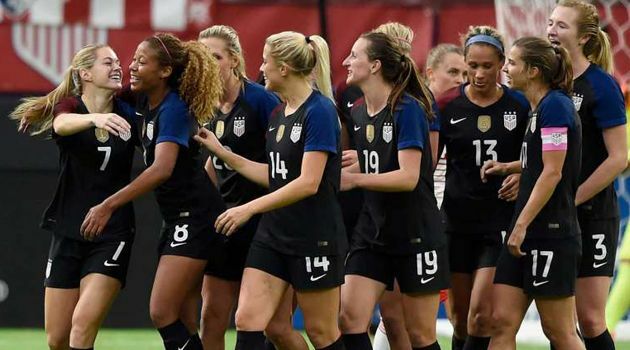 Thirteen of the twenty-four players summoned belong to the squad who participated in the last Olympics the novelty is represented by the eleven rookies never convened in the major national all this with the stated goal of the next FIFA Women's World Cup which will be held in France in 2019. SEATTLE THAT DRINKS! KANSAS CITY NWSL CHAMPION! Sa for clamorous insult to Seattle the defeat for 2 to 1 suffered against the girls of Kansas in the final of the NWSL seen the season dominated since the start, with only two losses suffered in the arc of the "regular season" and the foaming game expressed in field; but maybe it was just this excessive security (many supporters of the Reign claimed to have even basted the best team in the world), which led to the downfall of the girls in Seattle and has won over the modesty, which then modesty is not seen the quality of the team and their equally interesting game of Kansas girls. But here is the chronicle of the final act of the NWSL. This final, considered by all the insiders as the most just final, for what has been seen during the season, has put in front of two teams with a very similar mentality, two teams that have in search of possession their best gift . The Seattle Reign depart favorites, strong superiority shown throughout the season and benefited from playing the final in front of their audience, in a Starfire Stadium (the stadium that hosted the Reign in the inaugural season of the NWSL, CenturyLink Field was not available ) practically all sold out. The first opportunity is for the Kansas City that, at 20 ', go close to the goal with a shot from outside the area of ​​Jenna Richmond coming out touching the post to the left of Hope Solo. Two minutes later the Kansas City took the lead: Holiday is good at managing the counterattack and serving Amy Rodriguez with a perfect timing ball, with Rodriguez coldly beating Hope Solo. The Seattle Reign react immediately, led by the usual Kim Little who at the 23 'forces Barnhart to kick foot on a shot from a tight angle. A few minutes later Kim Little puts in a perfect cross but Kawasumi misses incredibly, sending the ball head from close range. The Kansas City almost doubled the 36 'with the usual Amy Rodriguez, good at anticipating the defense of the Reign. In the second half the first chance was for the Reign, with Kim Little beating a free kick from the edge: the shot is very powerful but central and is blocked with confidence by Barnhart. The Kansas City are doubled at 55 ', with a sensational action by Lauren Holiday, who sows the panic in the penalty area eluding three defenders before serving a perfect assist for Rodriguez that bags in the slip. The Reigns try to react and in the last ten minutes they raise the pressure looking desperate for a goal to reopen the game, goals that reach the 84 ', with a shot from outside Megan Rapinoe who is rejected by the crossbar. Two minutes later, the Reign reopen the game with Rapinoe, a goal resulting from a confusing action following a corner. 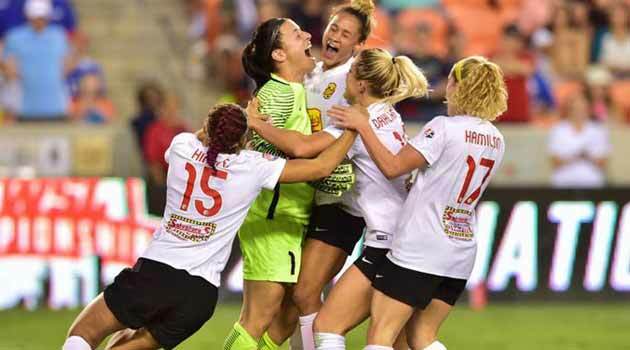 The Reign in the last few minutes try everything but the Kansas City can keep the advantage up to the triple whistle, taking home the title of champions of the NWSL 2014. As a small consolation, many of the Seattle girls received several individual prizes for the disputed season, including Kim Little, the real surprise of this season, which won the title of top scorer and best player of the tournament. 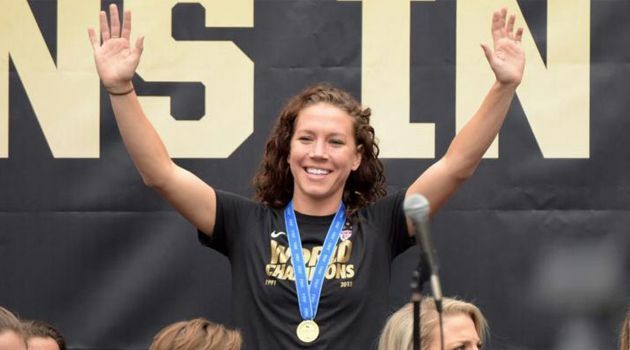 At this point it will be necessary to wait several months before seeing again the stars of the American "soccer" in the field for a new season of the NWSL; in any case, any market moves or insertions of new teams will be promptly reported. See you soon! Gianessi Mattia & Lorenzo Ceccarelli. NWSL CONCLUSIVE ACT: THE FINAL WILL BE SEATTLE VS KANSAS. 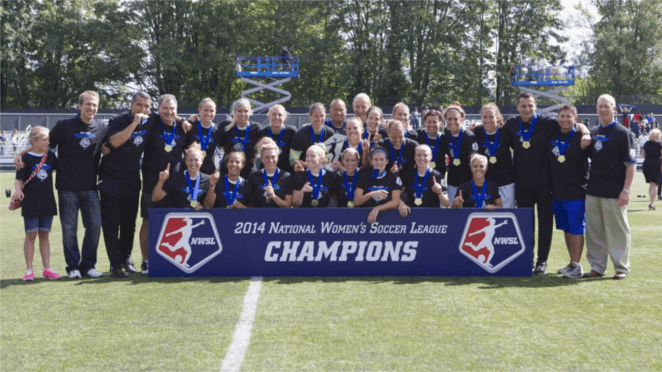 The most exciting women's soccer championship in the world has finally arrived at the end of the match: the final will be Seattle Reign Vs Kansas City, with the girls of Seattle favorites seen the incredible season and their form. Read more: NWSL CONCLUSIVE ACT: WILL BE SEATTLE VS KANSAS THE FINAL.